Home / Destinations / Camino de Santiago / Camino de Santiago, Here I Come? by PinayTraveller1 Comment on Camino de Santiago, Here I Come? 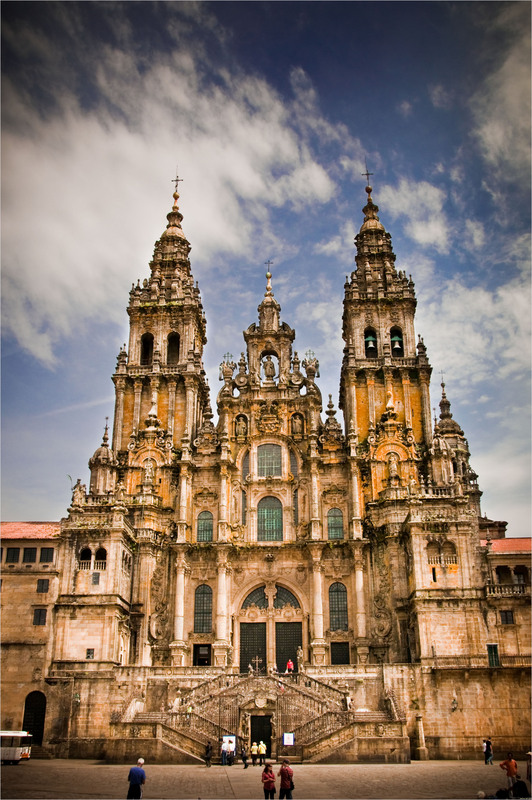 It’s been months since I posted anything about El Camino de Santiago de Compostela, specifically about my desire to go on a pilgrimage and walk The Way. If you remember, last year, I declared that I was finally going to Santiago to fulfill my lifelong dream. Well, between then and now, a lot of things have transpired: phone calls were made, e-mails were written back and forth, and intense research was done. And while waiting for the elusive answer to my prayers, there was also shopping and a little bit of training involved! To top it all off, I have somehow managed to drag my husband into this seemingly insane web of wishful thinking so that now, the dream to trek the Camino is not only mine but OURS. I dared not write about all these because I didn’t want to jinx the whole thing (yeah, I’m so Pinay that way). So I waited. And waited. And waited. And finally, I received an e-mail bearing good news. After months of planning, it’s now official… the Spain Tourism Board will be partnering with Pinay Traveller to promote Walk the Way of St. James: The Philippine Expedition. What this means is, in the next few weeks, I will get to tell all you lovely people about the Camino de Santiago, give you a virtual tour of this ancient pilgrimage route and hopefully, inspire you to take the walk yourselves. Meanwhile, here are a few Camino images I’ve been looking at to keep ‘the fire burning’, so to speak. I hope you will find inspiration in these beautiful photos as well. Buen Camino! Previous ArticleGoodbye for now, Aslum!